First of all, when you catch trend you can profit from most of the move. The good thing about ATR is that you have a stop loss level in place. 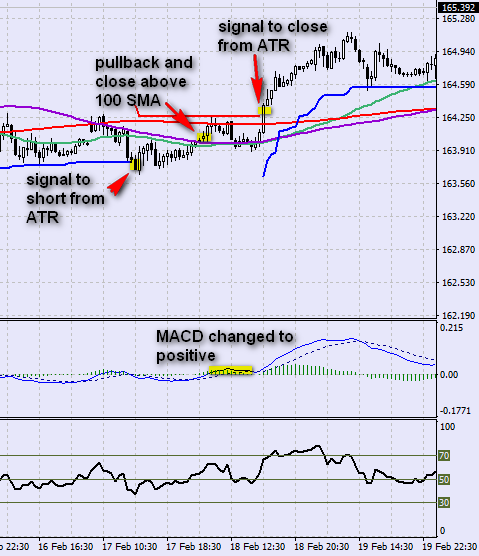 When there is a close on the other side of ATR, it is a signal to close. No second guessing. Let’s start with a simple example. 1-hour chart, there is a confirmation from higher time frames that trend is up. 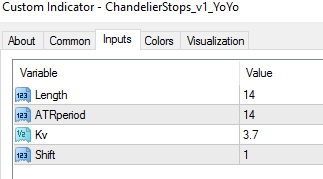 You enter long when ATR changes from red to green and exit when it changes to negative. MACD and RSI were positive during that time. This is a situation you will see rather often. After strong move, there is a possible change in trend direction. We saw a signal from ATR to go short, but it was tot early. The price was still above 100 SMA and 200 SMA. In that situations, I wait for break below 100 SMA (blue). You can see that first it acted as support and we could draw a support line based on recent low. When the price went below that level, it was clear that 100 SMA did not hold. It was a good place to go short. Also, it was ok to wait for MACD to turn negative (below 0). 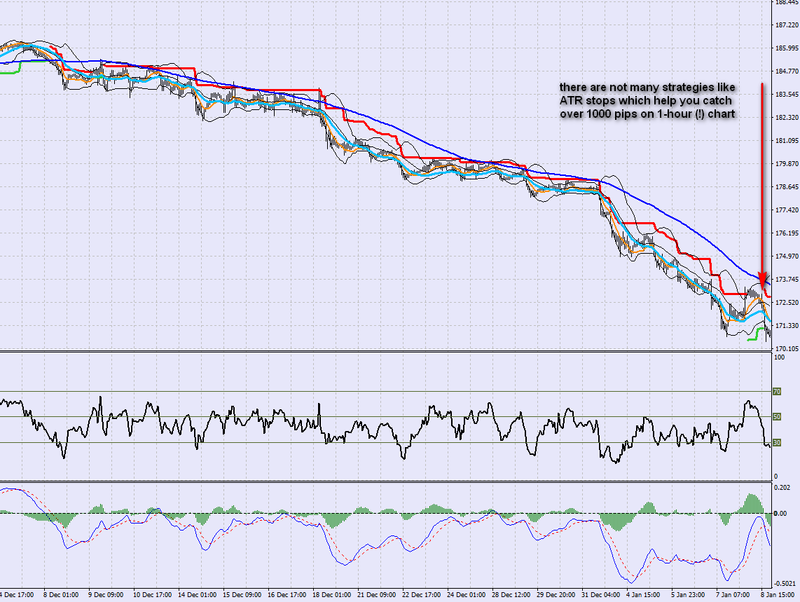 The main problem with ATR is when price moves in a range. This is a problem with any trading system or method. It is very important not to overtrade during range moves. If you are in doubt, check situation higher time frames. You do not have to use GMMA. Some traders prefer to have a clear chart. That is fine. My good friend uses ATR with good results. He has on chart 100 SMA, Bollinger Bands, 21 DEMA and 55 DEMA. Let’s see some examples based on this setup. This is a very good example of joining ATR with other signals. We are sure that trend is down (checked on higher time frames, also the price is below 100 SMA, MACD and RSI are negative). There was a signal from ATR to go short and we took it. It was rather a strong move down. We had two possible ways of closing it. First was with ATR. So when ATR changed from red to green it was time to close (close #2 on chart). You can see that it was a little late. If you have already a profitable position and want to protect your profit, you can exit earlier. In this case, there was a cross of DEMA averages. 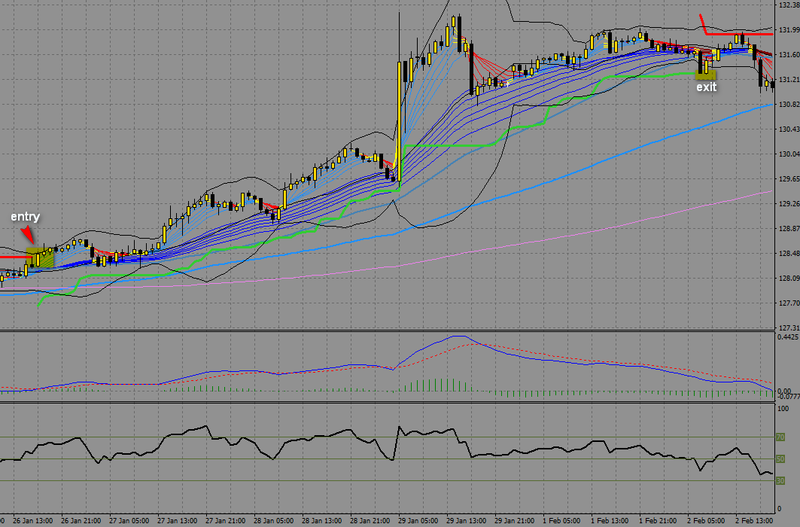 RSI closed above 50 line. As you can see, we saved few good pips. The aim of this example is to show you that you can mix signals to enter and exit positions. Notice that we did not open long position. There was a signal from ATR, but it was below 100 SMA. The last scenario shows a conflict. So far we were looking at examples of ATR and DEMA averages. We were hunting for a trend, but when something went wrong we were closing position. If you want to catch bigger trends, my advice is to keep things simple. Switch DEMA to SMA. Why? DEMA is very responsive and works great when you want to react fast for a possible trend change. 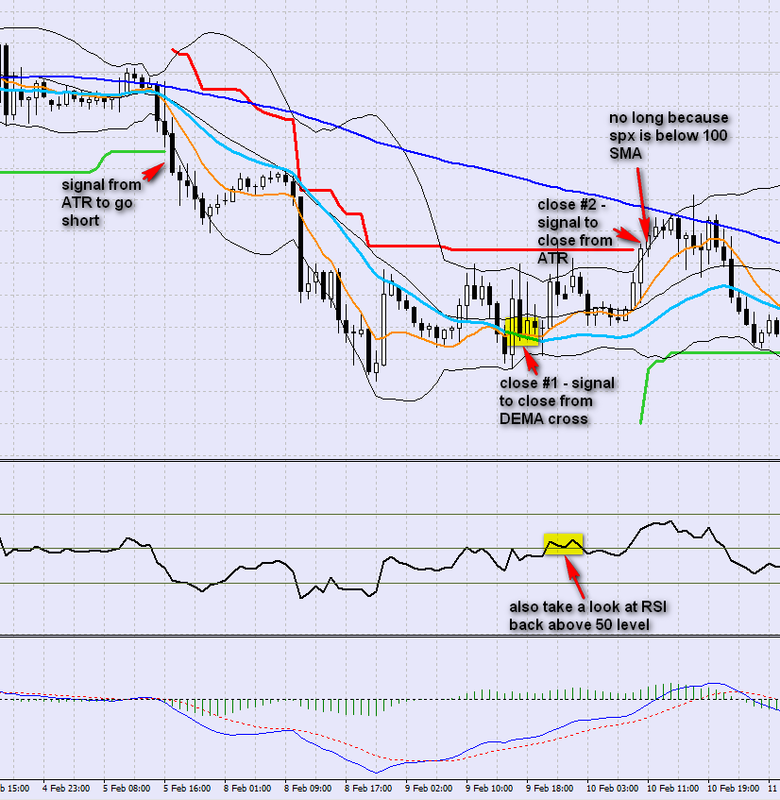 On the chart below you can see that sometimes it is ok to wait for another confirmation. We had a signal to go short from ATR, but the price was still above averages. You can see that 200 SMA was a support here. In this case, the best option was to wait for close below 200 SMA. You can see that there was such a close and this was the best place to go short. Another example that this is good to watch averages. 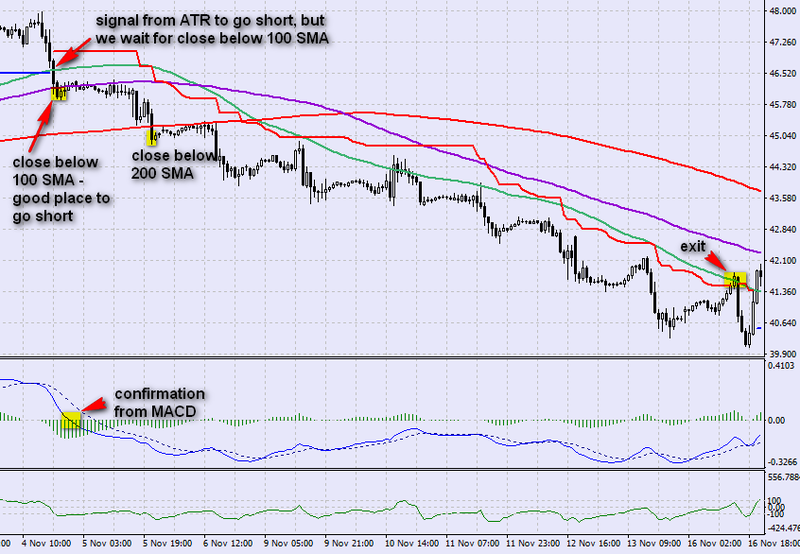 There was a signal from ATR to go short, but it was still above 100 SMA and 200 SMA. 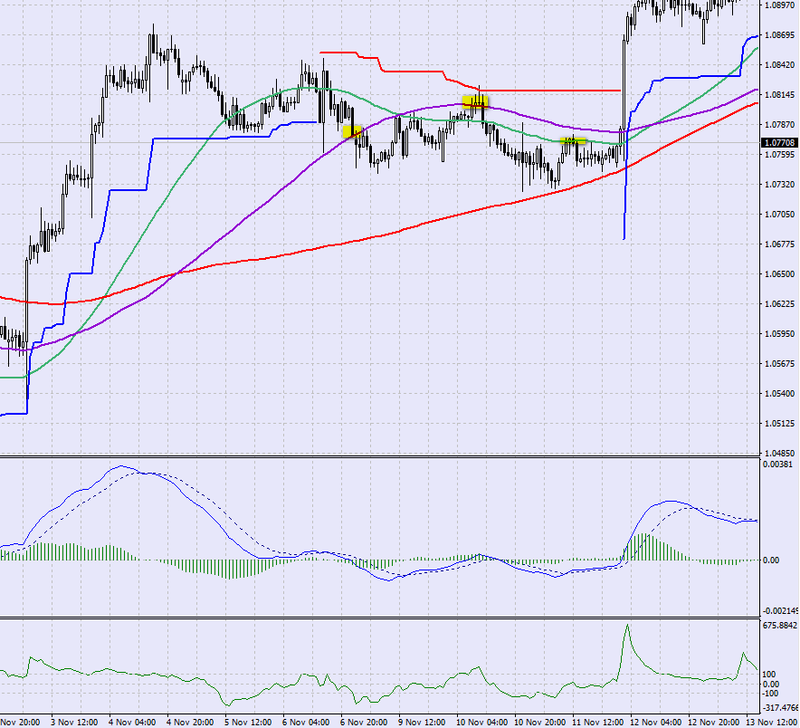 The question is – go short on close below 100 SMA or 200 SMA like in the example above? It depends from distance between 100 and 200 SMA. In last example, we saw a case, when 100 and 200 were very near each other. It was best to wait for close below 200. Here you can see that there is a rather large distance between 100 and 200. Also, after braking below 100 SMA, we can see that MACD turned negative. 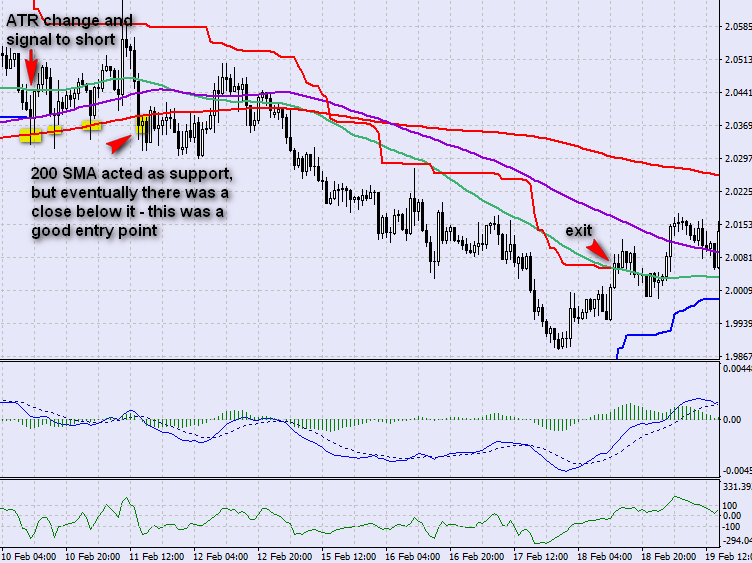 It was the best idea to go short after close below 100 SMA, with a tighter stop. Going short above 200 SMA isn’t that great idea, but in some situations, when we know that on higher timeframes trend is down, it is ok to take some risk. Not always everything goes according to a plan. Take a look at this example. We had a signal to go short and we took it. After a while, there was a pullback. Take a look where ATR stop is. It is rather far away. In most cases we would wait for a close above that line to exit with a loss. In this case, we have more information from 100 and 200 averages. After we went short, price pulled beck above 100 and 200. Also, MACD turned positive. 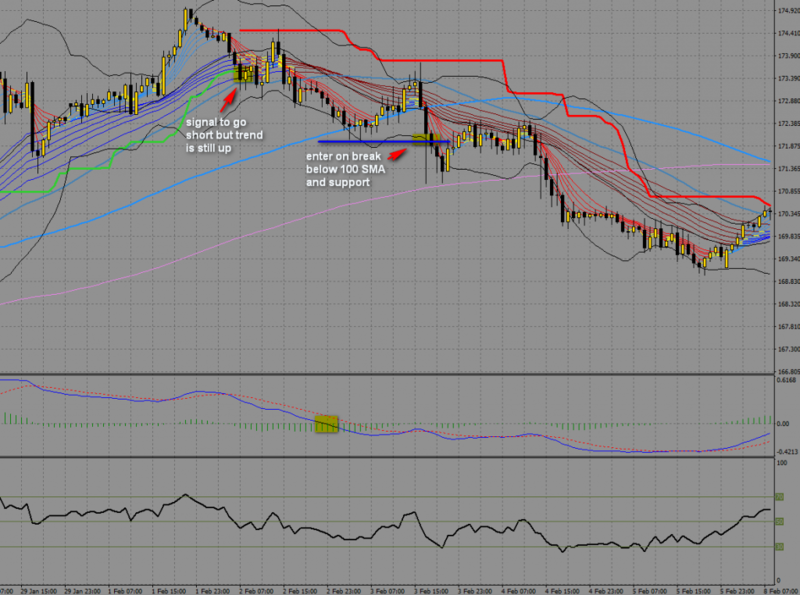 It was better to take a smaller loss here than to wait for a close above ATR line. It is impossible to show you each possible scenario. My point is, you can also take other signals than ATR to make decision about staying in the trade/closing the trade. your trading strategies are so good, thanks. Thanks mate, very happy that you like it!